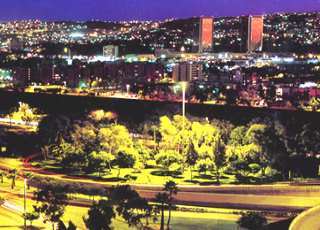 Tijuana's international allure as a city that is equal parts revolutionary fervor and frontier party town can be traced directly to a handful of events that occurred between 1911 and 1920. Following the Mexican Revolution of 1910, a group of Industrial Workers of the World briefly took control of the town. Mexican federal troops entered Tijuana on June 22, 1911 and, as hundreds of San Diegans watched in horror from just across the border, routed the Magonistas, shooting down 31 of them. In 1915, the Tijuana Fair showcased bullfights, horse racing, boxing, cockfighting and casino gambling. Curious San Diegans flocked down in droves and word quickly spread throughout the Southwest about Tijuana's reputation as the "wildest of the wild." In 1917, San Diego banned cabaret dancing...and Tijuana wasted no time in building more cabarets and casinos. By now the fledging community of Hollywood had heard all about Tijuana and its irresistibly short three hour drive down the California coast. That trek soon became a pilgrimage when, in 1920, the United States outlawed alcoholic beverages and Tijuana welcomed America's thirsty citizens with open arms that have never closed.